Abster Equipment has a team of skilled manufacturing professionals who put their entire efforts to manufacture double sigma mixer. Doubel Sigmna Mixer has latest heavy duty z type sigma blade which is made to produce proper mixing as well as kneading the intense viscosity materials. 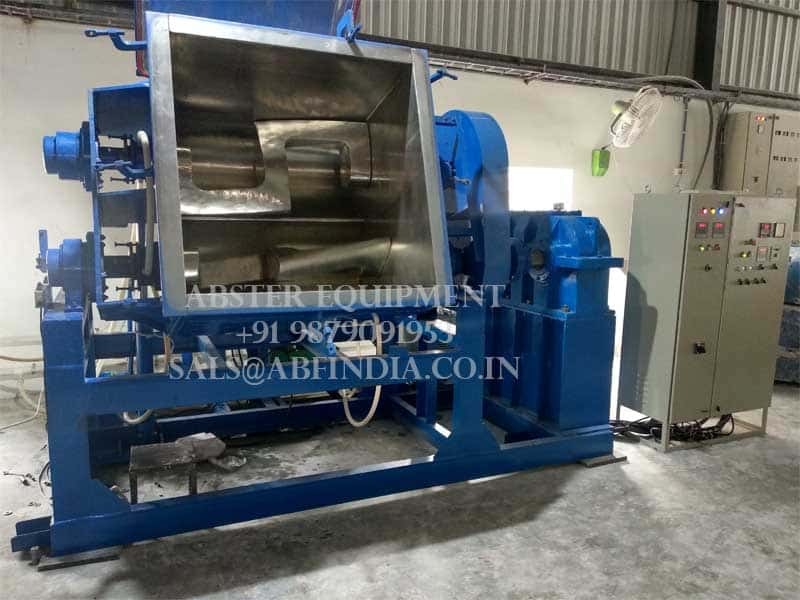 “Abster” sigma mixer is perfect for several applications for various types stiff pastes, doughs, polyester compound, Hot Melt Adheshive, rubber compounds and much more. We use specialized manufacturing techniques to make our Double arm sigma mixer more efficient than other types of mixer available in this market. Moreover, our mixing products are available at extremely affordable rates that will perfectly suit all budgets.